Denise Schumaker received her B.A. in Theatre Education with a minor in English, and later her M.S. in Education--TESOL (Teaching English to Speakers of Other Languages) from California State University, Fullerton. She currently teaches at Mt. San Antonio College and CSUF and has taught in programs at the University of California, Irvine and North Orange County Community College District's School of Continuing Education. When she is not working, she enjoys crafting, hiking, and playing Dungeons and Dragons. ​My name is Alicia Jaqubino, and I have been teaching for over 15 years in ESL. Currently, I teach academic writing for ESL students at Irvine Valley College, Fullerton College, an ESL writing course for international graduate students at CSU Fullerton as well as pronunciation at Saddleback College. Besides teaching in the classroom, my other passion is curriculum design, specifically developing and sequencing skills to maximize students success. I'm constantly finding new information in sources from professional journals to Pinterest. My teaching philosophy is to act as a facilitator for the student of English by providing authentic materials and specific, positive corrective feedback. My courses are mix of activity and one semester is never the same as another. Teaching and learning are creative and dynamic, and I wouldn't want to do anything else. Jun Li is a current graduate student in TESOL at California State University, Fullerton (CSUF). Ever since she won the CSUF CATESOL Education Foundation Grant in spring 2015, she has been an active member in both CATESOL and CATESOL Orange County Chapter. With great passion, she is serving as the Student Representative for the CATESOL Board of Directors and the Treasure of the CATESOL Orange Chapter Board. She is also the current TESOL Club President and a member of the Phi Beta Delta Honor Society at CSUF. She has been volunteering and presenting at CATESOL conferences. As a student teacher, she has two years of English teaching experience in China and two years of volunteering in local ESL classes at CSUF American Language Program and the North Orange County Community College District. Christie Sosa is a graduate from California State University, Fullerton, where she earned her masters in TESOL. Christie has been involved with the OC CATESOL Chapter since 2012. As a graduate student, she served on the board as a Student Representative and later as Secretary. She is now serving as the Coordinator Elect. Currently, she works full-time as a lecturer and academic coordinator in the Academic English and Compositions Programs at the University of California, Irvine. Chelsea has an M.A. in English with a concentration in TESOL and a certificate in teaching post-secondary reading from San Francisco State University. She has been teaching credit and non-credit ESL since 2011. She currently teaches at Irvine Valley College, Orange Coast College and UCI. She has also taught at City College of San Francisco, San Francisco State University and UC Berkeley Extension. 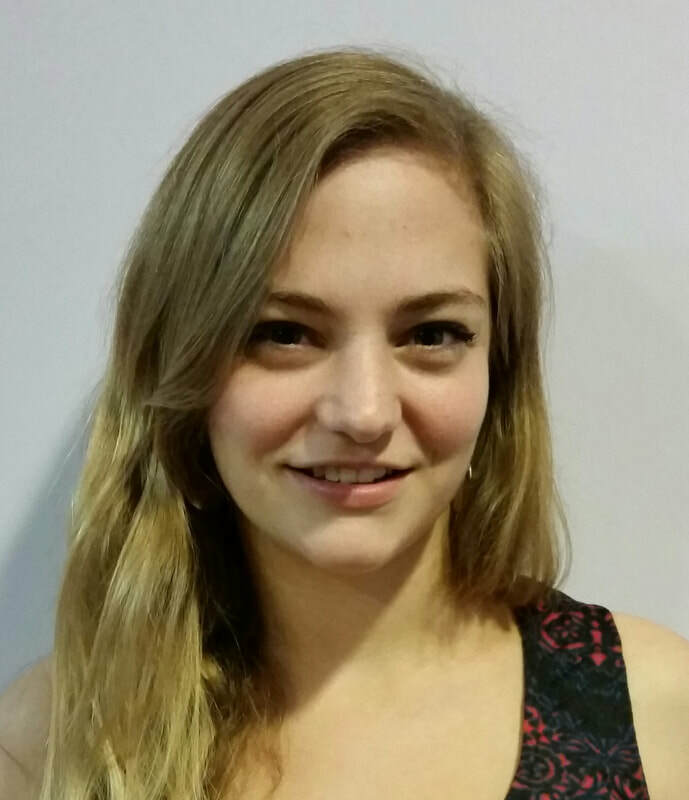 She enjoys staying current with changes in the field and has presented at TESOL, CATESOL and LESLLA conferences. Victoria Myers possess thirteen years of progressive teaching experience as a Non-Credit ESL Instructor at NOCCCD and RSCCD. She is an enthusiastic innovative ESL Instructor who is passionate about teaching essential practical English skills to a diverse student body which will help them to integrate into American Society. Many of her students pursue A.A. degrees or a vocational certificate programs. She constantly implements the most current effective textbook materials along with various ESL software programs, and teaches skills that the student population will need to know when they transition to higher levels of English, High School diploma, or academic credit programs. In her teaching, she focuses on addressing different learning styles and Student Leaning Outcomes. She has also participated and presented at appropriate professional development events such as CATESOL conferences, the Great Teacher Seminar, strategic planning events, workshops, technology training session and online webinars. She has a Bachelor’s and Master’s Degrees in TESOL and German and a California Clear Teaching Credential in English as well as CLAD certificate. She has been a member of the NOCCCD Academic Senate for the last two years. Helen is a full-time instructor with International Programs at the University of California, Irvine, where she teaches ESL and teacher training courses and develops instructional materials for online learning. She holds two master’s degrees, one in TESOL and the other in Philosophy, both from Biola University with her B.A., also in Philosophy, from UCLA. Helen has been involved in professional organizations, presenting and volunteering in conferences since she was in graduate school, and began serving on the Board of the CATESOL, Orange County Chapter in 2012. Helen was born in Los Angeles, but spent most of her formative years in the Bronx. She has travelled widely and speaks Korean fluently. In her spare time, she enjoys watching documentaries, reading about religion and ethics, and gardening. She believes that teaching international learners is incredibly rewarding and interesting and hopes with every passing year that she will become a more caring and effective instructor. My name is Neda Sahranavard. I enjoy and value teaching. My career as an educator for the past 15+ years has been extremely gratifying. My passion for the English language, literature, and teaching led me to pursue my B.A., M.A., and Ph.D. in English. I also hold my TESL, Basic Skills Initiative, and Online Educator Certificate. I am currently serving as an Academic Coordinator/Lecturer at UCI’s Academic English Program and an ESL Instructor at Saddleback College. My goal as an educator has always been providing the best assistance to all of my students. Femia Scarfone received an M.S. in Education for TESOL from California State University, Fullerton and a B.A. in Fine Arts from the University of California, Berkeley after transferring with honors and an A.A. Degree from Orange Coast College. She has been involved in the field of ESL since 2006, and currently teaches full-time for California State University, Fullerton’s American Language Program and part-time for Orange Coast College, as well as Saddleback and Irvine Valley Colleges. At CSUF, in addition to her teaching during the semester, she coordinates a short-term program for high school students from Brazil in the summer, and also works with the TESOL Department on campus to serve as a Master Teacher for graduate students in their practicum. She has been a member of the Orange County Chapter of CATESOL since 2009 while VP and President of the TESOL Club at CSUF. She has actively served on the OC Chapter Board as Secretary, Coordinator Elect, Coordinator, and now Past Coordinator. ​Femia was born in Orange and grew up in Huntington Beach, California. She is trilingual in English, Spanish, and Italian, and in her free time, she loves to read, explore new places, and spend time outdoors. Femia comes from a family of teachers, and her passion for teaching ESL not only stems from the fact that she loves to travel, but also that she is a first-generation American, with parents who immigrated to the US from Italy with their families and had to assimilate into a new culture. She strives to create an environment in the classroom that is comfortable for her students, supportive, respectful, and motivating. Brent has been teaching English as a Second/Foreign Language for over a dozen years to students from students from all over the world. Brent received his MAT in TESOL from the University of Southern California and double-majored in Japanese Language and Asian Studies for his undergrad degree at San Diego State University. Brent is an Assistant Professor of ESL at Irvine Valley College where his work focuses on Academic Writing for ELLs. Before accepting his position at IVC, he worked as a full-time lecturer at USC and worked as an adjunct professor at Orange Coast College and Saddleback College. Brent is EdTech enthusiast who enjoys discussing incorporating the latest technologies into lessons as well as the times when tech isn't the answer. Brent blends technology into his lessons and often shares what he is exploring at CATESOL conferences. Brent writes and podcasts about many of these ideas at his website: EdTech.tv. He is the webmaster for the Orange County chapter of CATESOL. On November 10, 2018, a strong advocate for CATESOL, Dr. Carol Bander, PhD, passed away. Carol was the 1999-2000 president of CATESOL and received the CATESOL Sadae Iwataki Lifetime Achievement Award in 2006 for her dedicated service to the organization. After serving on the Board of Directors, Carol then dedicated her time and efforts to her local CATESOL Orange County (OC) She generously opened her home for yearly events and for board meetings where she served as a mentor to all in the field of language learning. 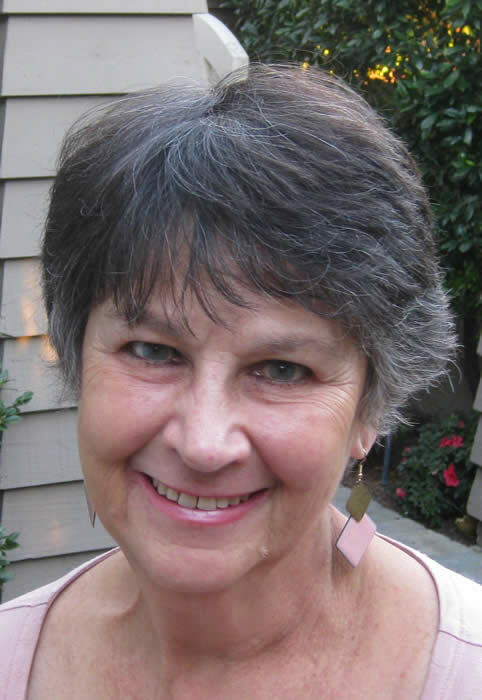 ​Carol was a professor of German and ESL and taught 39 years at Saddleback College in Mission Viejo, CA. . She loved cooking and world travel, having visited over 100 countries. Members at large - thank you for your service!